This month we’ve got our first video in the news section. A short time lapse showing Matthew teaching his son Tristan to butcher chicken supremes from a whole bird. Over the summer we the pleasure of guiding two work experience students from Manor CE Academy, York. 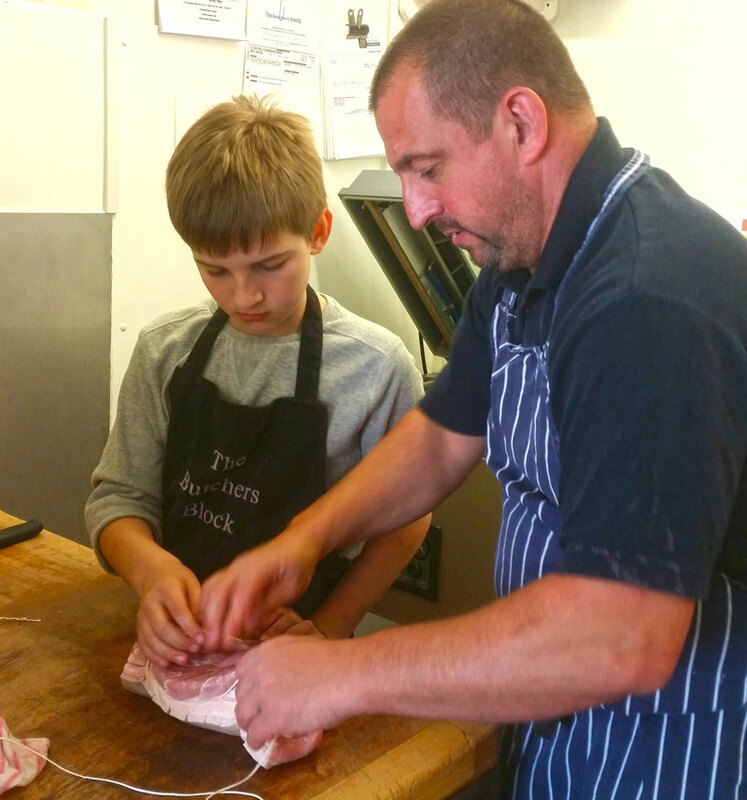 Tom joined our son Tristan and undertook 3 days alongside our team here at The Butchers Block. They made sausages, burgers, strung joints and of course washed up, a staple of all work experience! Matt assists Tristan with stringing a joint. 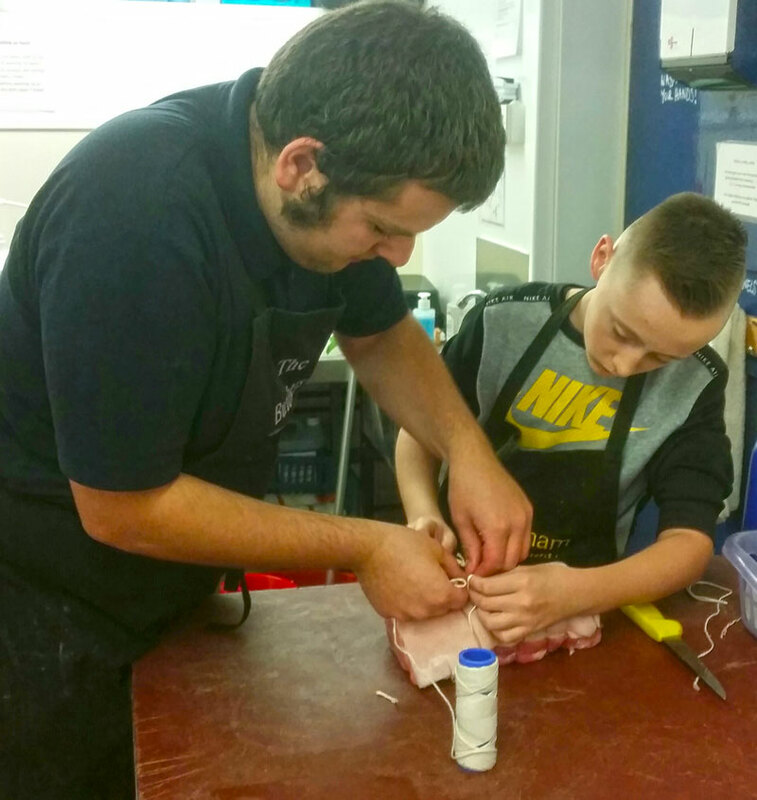 Dan helps Tom to string pork loin joints. We’ve been a little bit quiet on the news front this month, but be rest assured that we’ve been working hard. As you may know we already hold the 5 star food hygiene rating, but we’ve been upgrading our kitchen with extra easy-clean panelling and electrics to make our staff’s thorough cleaning routine even easier. We know panelling and plug sockets aren’t the most exciting things to see, so instead we’ve got a mash up of meat related photos from the shop. 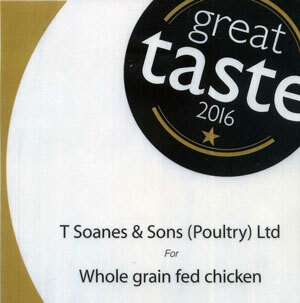 Our local poultry supplier, T. Soanes & Son Ltd, has won the prestigious accolade of the Great Taste Award 2016 for their whole grain fed chicken, which you can purchase in our online shop or in-store. Soanes’ are also proud to be celebrating 70 years in business this year! In a recent Daily Mail article written by Sean Poulter, a trend for using local butchers supplying real food was outlined. “The strong Sales at butchers shops are thought to have been driven by a desire among shoppers for quality produce with an easily established source’. Great news! 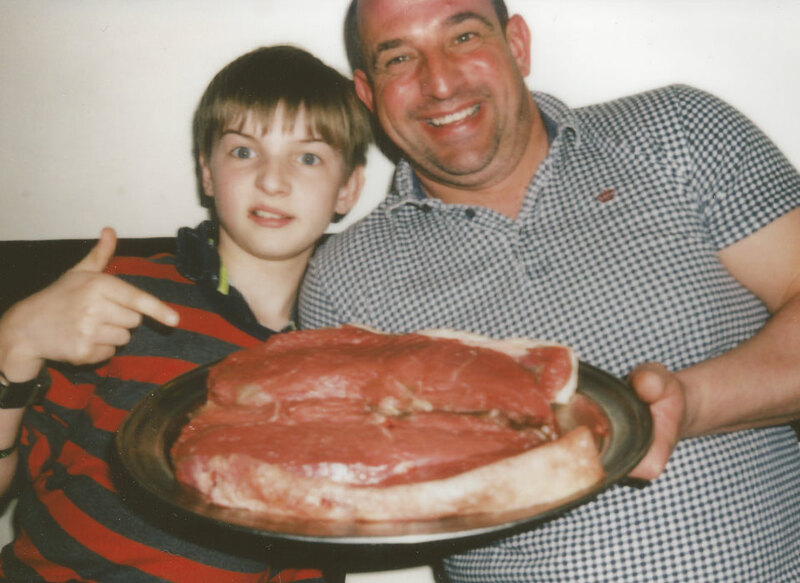 Who thinks they could eat this 72 ounce rump steak? 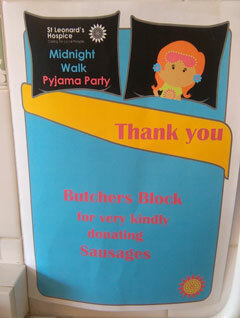 The Butchers Block are very proud to once again have been able to support St Leonard’s Hospice, with the donation of some of our sausages for their Midnight Walk. This years walk was pyjama party themed and raised vital funds for the Hospice. St Leonard’s sent a lovely letter of thanks and poster for us to display in the shop. 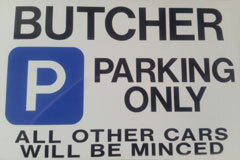 Matt recieved this sign recently as a present, none customers park at your peril! 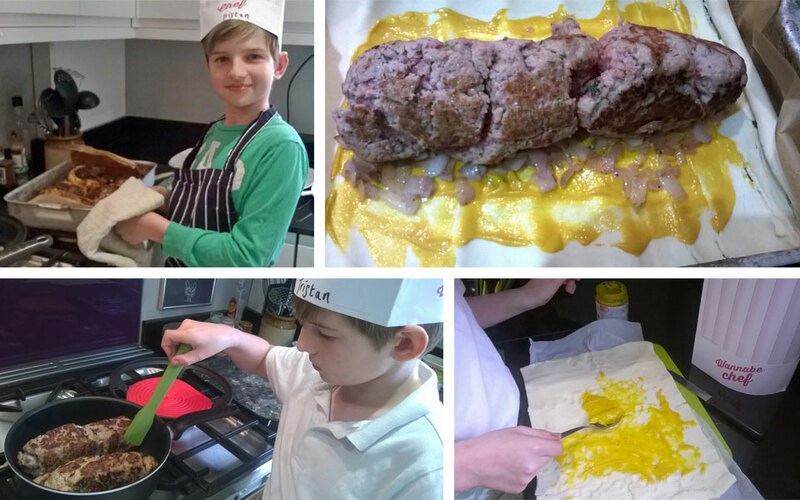 With Butchers for parents it’s perhaps not surprising that our son Tristan is following in our footsteps with a Sausage Plait recipe, destined for his school cook book which will be going to print. Here are some photos of his recipe in progress, made with 500g of Butchers Block pork sausage meat, to try it yourself you can find the full method and list of ingredients in our recipes section. 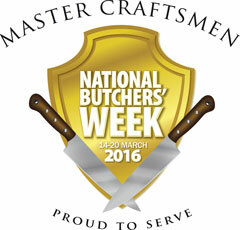 National Butchers Week runs from the 14th to the 20th of March. Organised by the Meat Trades Journal, in now in it’s eight year, this awareness week is designed to promote the skills of Britains butchers. 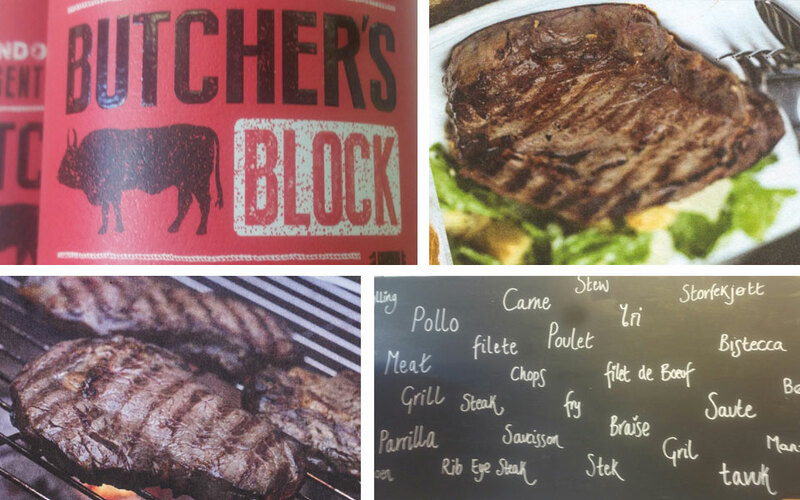 At the Butchers Block we are always delighted to help if you have any questions about cutting your meat or are perhaps looking for recipe ideas. A recent survey suggested that almost a third of primary school children think that fish fingers comes from pigs or chickens so please dont be afraid to ask, no matter what the question.